Details: 3 BR, 3 B Resort Property with 1,540+/- sq. 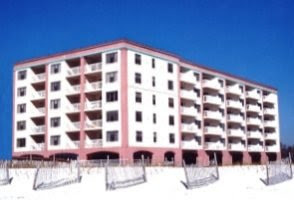 ft.
Gulf Shores AL condo for sale at The Indies. This resort home is ideally situated just off the swimming pool, with a spacious gulf-side private balcony. The interior includes tile floors throughout the main areas, granite counter-tops, stainless steel kitchen appliances, custom cabinets, updated fixtures, crown molding & more. The master bedroom has direct access to the balcony, a walk-in closet, dual-vanity, tub and separate shower. Community amenities feature an outdoor pool, hot-tub, BBQ grills, fitness facility, roof-top deck and access to sandy beaches. Just minutes to outdoor activities, shopping and dining…come see!